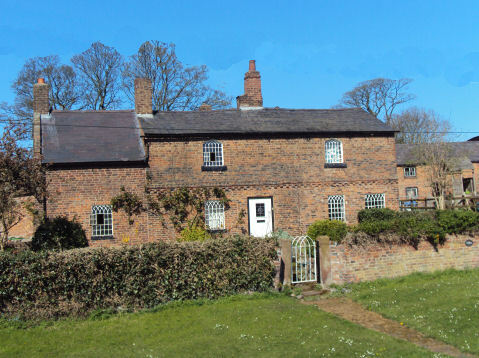 The charming village Shotwick (pronounced `Shottick') is situated on the southwest of the Wirral Peninsula near Ness and is reached via a narrow dead-end road. Shotwick grew up by a ford crossing the River Dee to Wales. The name is said to derive from the small salt workings which were situated nearby. By the medieval period, it had become an established route for transporting salt. In 1245, King Henry III led an invading army into Wales from this spot, as did his son, Edward I in 1278 and 1284. 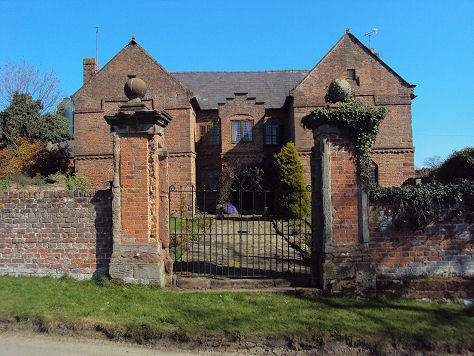 Shotwick Castle was built about 1093 by Hugh Lupus, 1st Earl of Chester, as part of a chain of castles to protect his earldom from attack by the North Welsh princes. 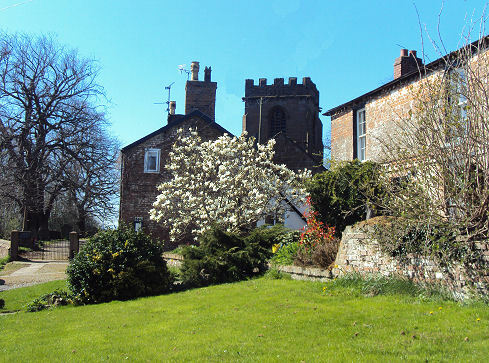 The castle was taken over by the Crown in the 13th century, it was maintained as a convenient 'grace and favour' manor near the port of Chester. Edward III ordered a deer park to be created in part of the manor and the castle was turned into a hunting lodge with gardens. The building was in ruins by the 17th, only the foundations remain today. In 1876 a local schoolmaster called Williams made a partial excavation of the castle site, finding glazed pottery, a spur and fragments of deer horns. An archaeological investigation was carried out in 1995-1996 and identified a medieval formal garden on the castle site. There appears to be the foundations of a stone keep surviving to a depth of 2.3m under the turf. The motte ditch surrounds the motte and is about 25m wide and 3m deep. The prosperity of the village was closely connected with the River Dee. Its fishery and ford. By the close of the fifteenth century, silting of the Dee had rendered Chester of limited use as a port and Shotwick became an important port on the river. Further silting of the Dee over the centuries consigned Shotwick to the same fate and it became the quiet sleepy, backwater we see today. In 1641 the plague raged for more than 4 months in the village and many of its victims dead were buried in the churchyard. Shotwick Hall was built by Joseph Hockenhull in 1662, replacing an earlier manor house that stood on a moated site nearby. 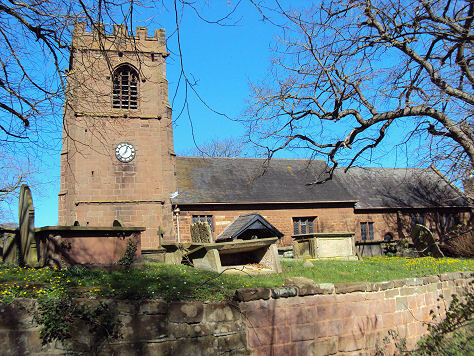 Red sandstone St. Michael's church at Shotwick was built about the beginning of the 12th Century, replacing an earlier Saxon church on the site. The chevroned Norman arch of the South doorway survives from this building, and is the oldest part of the present church. The church porch was often used as a schoolroom, and until the 16th Century it was the place where marriages were solemnised. The heavy wooden door dates from the 15th century. The interior of the porch has a line of deep vertical grooves in the sandstone. A decree made by King Edward III stated that sheriffs must ensure that all able-bodied men must practice the longbow after Mass, all other sport being prohibited in its interest. 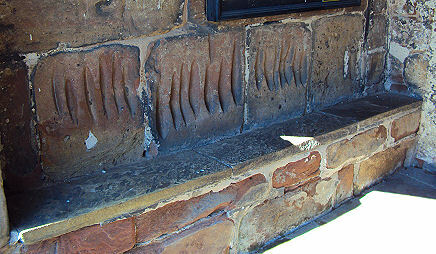 The grooves worn in the stones in the porch were made by archers sharpening their arrows before practice at the butts. The fields to the west of the church were still called "The Butts" on the 1843 tithe map. The church was rebuilt and extended during the 14th century. Both East windows were part of the 14th Century rebuild, and fragments of the 14th Century glass, which are amongst the oldest in Cheshire, can be seen in the tracery. The tower dates from around 1500 and contains 6 bells, the oldest dated 1616 and 1624. 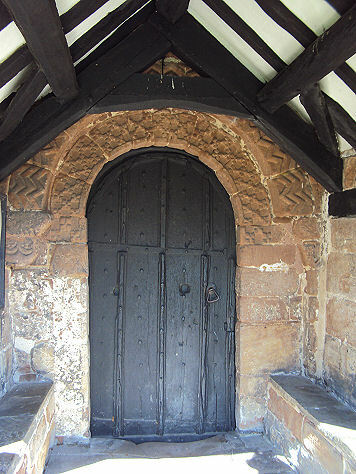 The door in the North aisle, no longer used, is known to local people as "The Devil's Door". The name goes back to the Medieval times when the ground to the North of the church was unconsecrated and was thought to be the haunt of evil spirits. During the Middle Ages only suicides, the illegitimate and criminals were buried there, all other burials, apart from those actually in the church, taking place to the South. Superstition had it that if the "Devil's Door" were opened during a baptism the evil spirits would leave the infant's body and fly out through it. 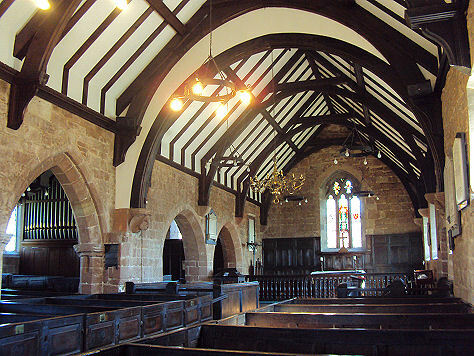 The pews are box pews and are the oldest in Wirral, at one time their doors were fitted with locks and keys, one of them has an inscription on the door reading 'John Basnitt, December 4th, 1710, churchwarden'. The unusual Churchwardens' pew, has the date 1673 carved on the lower part, together with the Wardens' names. 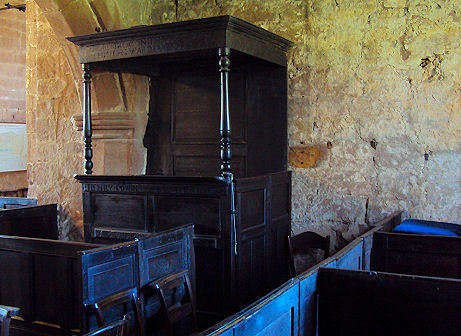 The 3 decker Georgian pulpit is said to have come from a church in Chester. The brass chandelier dates from the late 18th Century. Masons replacing a badly eroded window sill in 1975 discovered a mediaeval effigy behind the stonework. It has been dated to the early 14th century. Although badly fragmented, the face and the hands are complete.